For decades, we’ve viewed Monday as the Worst Day Ever. Why? Well, the reasons seem obvious—it’s the first day after the weekend, and we all know that weekends go way too quickly. Monday arrives and you have to get up early, go to work, and slave away after having two days of complete freedom. However, there are other days that are much worse. I propose something controversial: Monday is not the worst day of the week. Instead, Tuesday—and even Thursday—take this not so coveted accolade. But, on which day are we most productive? The answer might surprise you. It’s not difficult to understand why Monday is a despised day for many people. You get used to the weekend and to sleeping in, and after two days of doing whatever you want, you’re back in the world of work. You’re tired, you’re cranky, and you would much rather be at home, sleeping. I mean, who doesn’t prefer weekends, right? You’re rested from the weekend. You can occupy at least some of the day with small talk related to your weekend ventures. You’re in a good mood thanks to the residual weekend high. It’s only the first day back to work, so you haven’t had time to get burnt out yet. Taking all of this into account, productivity on Mondays should be relatively high. In fact, according to a survey conducted by project management software company Flow, Monday is a prime productivity day. Despite the reported high productivity, if your people find it difficult to motivate themselves on Mondays, make sure to take advantage of that fresh energy from the weekend. Give motivating advice and make sure they complete tough tasks in the morning. I bet you’ve never thought about how terrible Tuesday can be, but for me—and according to research—it is objectively worse than Monday. Actually, it’s the worst day of the week according to a U.S. work stress survey and a happiness study conducted with the assistance of iPhone app Mappiness. From the results, Tuesday feels like the longest day of the week, it’s the most stressful (right around lunch time), and it’s the most miserable. Let’s compare it to when you were a kid, and it was time to go back to school. It wasn’t the first day of school that killed you—that one was fun because you got to see your classmates. It was the second day that sucked. Remember feeling like you’d been back to school for weeks? By Tuesday, the tiredness catches up with you and there are FOUR more days to endure before the weekend. With Tuesday providing the environment for high stress and high productivity, it’s important to recognize employees’ efforts to maintain optimal motivation levels. If you find Tuesdays particularly tough, try to avoid cruising through Monday and allowing the work to pile up. Wednesday, or—as it’s affectionately called—“hump day,” is when you begin to see the light at the end of the tunnel. After all, there are only two more days to go! The weekend is fast approaching, and everyone is excited. Wednesday is good for morale, but not that great for productivity. Looking again at the Accountemps survey, after the peak experienced on Tuesday, productivity drops significantly over the remaining work days, with a sharp decline on Wednesday. Cut down on non-urgent minor tasks and focus on the big-ticket projects. Focus on quality over quantity and you will achieve better results. Discourage use of social media and internet for personal reasons. Implement a no meetings policy to enable employees to work without disruptions. We’ve already established that Tuesday is actually worse than Monday, but do you know what other day is also worse? That’s right—Thursday. You wouldn’t think this would be the case because Thursday is closer to the weekend than Wednesday. So, why is it so disheartening? Precisely because while it’s close to the weekend, it’s not the weekend. You still have to get through two whole work days, which means motivation and productivity are likely waning. It’s difficult to motivate people on Thursdays, but it’s not impossible. Maybe steer clear of more challenging projects and focus on simpler work tasks. Thursday is actually an excellent day to send actionable emails, as they have been shown to enjoy greater success later in the week. TGIF! For obvious reasons, Friday makes people’s hearts sing. It’s the final stepping stone of a grueling work week and the last obstacle that stands between them and the weekend. I don’t need to convince you that Friday is by far the most popular work day but, unfortunately for employers, Friday is also the day where the least work actually gets done. What stands behind the lack of productivity is no mystery—people’s minds just aren’t at their desks. Some may think that the imminent start to the weekend would make workers more willing to complete important tasks, but they would be mistaken. By the time Friday comes, people are so tired, uninspired, and burned out, that all they can do is count down the minutes until they can clock out. Allowing people to loosen up a bit can do wonders for morale, and it can make being at the office on a Friday feel a bit less soul-sucking. Since they’re not accomplishing much on Friday afternoons anyway, consider allowing employees to leave a little early. Plus, it may be a motivator for employees to finish their pressing tasks earlier in the day. Don’t allow Friday to descend into chaos; instead, make a point of keeping things organized, and make clear to-do lists. As brainpower is likely to be diminished on Fridays, keep the tasks light and easy. That way, you can at least make sure something gets done, even if it’s not as much as you would normally expect. I think it’s clear that—contrary to popular opinion—Monday is not the worst day of the week, neither for productivity nor mood. In fact, it’s one of the best, with Tuesday reigning as the bearer of the workday blues. 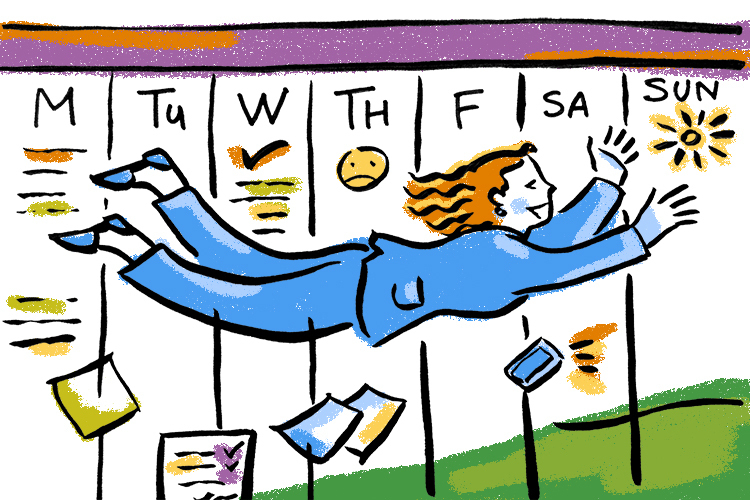 Perhaps surprisingly, the perceived worst days of the week are in fact the most productive. 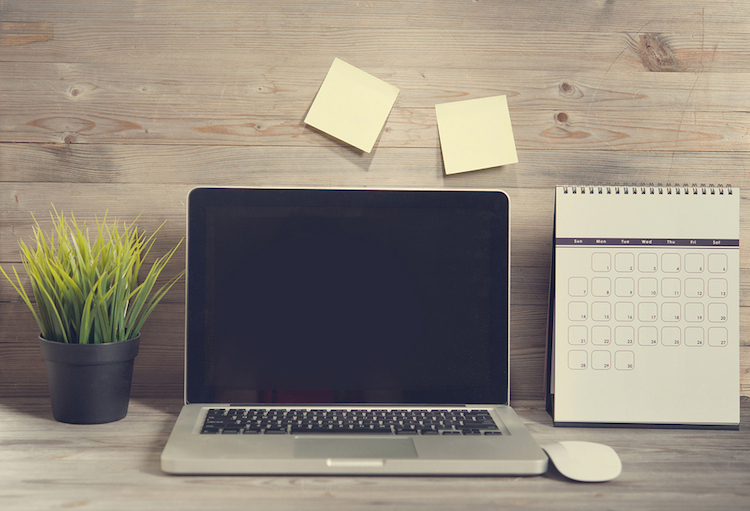 Even though productivity tends to decrease as the week moves forward, there are plenty of things you can do to increase morale, motivate your employees, and make the most of fluctuating working week productivity levels. So, forget about those Monday blues, and keep going.